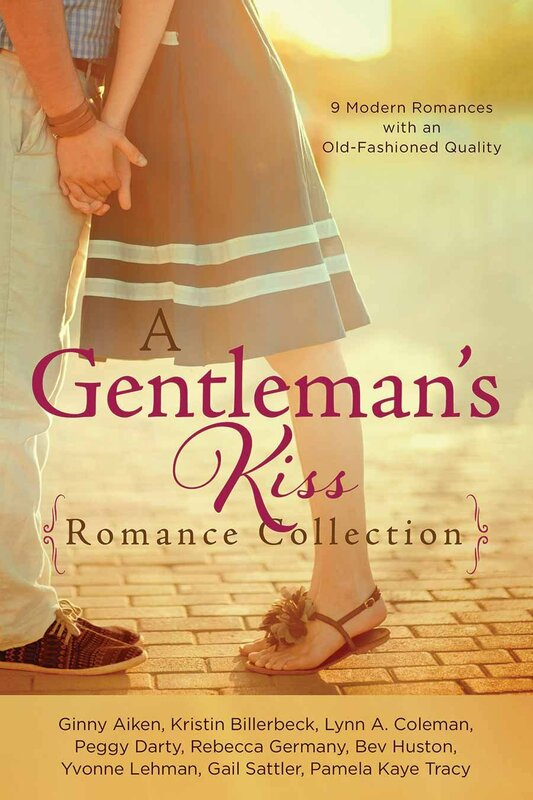 “A Gentleman’s Kiss Romance Collection: 9 Modern Romances with an Old-Fashioned Quality” by Ginny Aiken, Kristin Billerbeck, Lynn A. Coleman, Peggy Darty, Nancy J. Farrier, Rebecca Germany, Bev Huston, Yvonne Lehman, Gail Sattler and Pamela Kaye Tracy. Nine short romantic stories in a contemporaty setting that try to bring back old-fashioned love. Here you have the hardest review I’ve ever had to write. This is a very personal thing, not sure everyone deals with it so I explain it: whenever I read a couple of very similar books in a row, I get fed up. It might be only me, but there are moments I’ve gone through a lot of fiction books, for example, that I have to stop and read nonfiction. That’s how it works for me. So, reading nine short romantic stories was exhausting at times: so much love and dates and smiles for an entire decade. They seemed way, way too similar. I’ve figuered that a “collection” might not be my kind of book. Nevertheless, I’ll try my best to say what I thought about it in spite of that, even though you can imagine this can cloud my judgement. I mean, three of them made me want to stop reading whatsoever, seriously, but then I thought: “Maybe next story is better and I’ll miss it if I quit now”, so I kept reading. It was good I read them all because I got to “Name that tune” by Yvonne Lehman (loved that one), “Sudden Showers” by Gail Sattler, and “Test of time” by Pamela Kaye Tracy. Those are lovely. Some novellas I didn’t like at all because It’s a novella, right? It’s short. So, the story went from “I just met you” to “would you marry me?” going through a lot of “this has happened so fast”. Of course it has! That’s why it seemed so faked. In order to avoid that, other stories showed the couple had a past or imply they’ll have a future together at some point, which made everything a bit more realistic. I’d encourage you to read it if you have time and like reading short stories and you are willing to give each novella a try knowing that some of them are not so good but you’d probably enjoy others. **I received a copy of this book from Barbour Books and Netgalley in exchange for my honest review. All opinions expressed are my own**.